The Netherlands is world renowned for the way in which urban planning, infrastructure, ecology and the environment form an integral part of the practice of spatial planning and urban design. The country has a vigorous and open economy, an entrepreneurial society with its metropolis situated on a compact delta which is vulnerable to climate change. The Netherlands has four layers of public administration, the State (central government), the provinces and the municipalities which, together with the regional water boards, are responsible for spatial planning and the future development and structure of the Netherlands’ landscape. At the start of 2011 and following a change of government the responsibilities of each of the three tiers of government and how they can work together was re-evaluated and set out in the ‘Administrative Agreement 2011-2015’. Central government, the provinces and the municipalities are almost constantly working on strategies, policies and plans for the development and redevelopment of low carbon, sustainable and liveable city regions and cities for the coming decades. 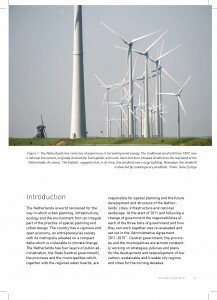 All three tiers of government are charged with the task of making Dutch cities ready to face the future: less dependent on fossil fuels, with reduced emissions of greenhouse gases, and able to cope with the expected rise in sea level and climate change. Policy and targets in the area of reducing CO2 emissions and energy transition are more likely to succeed when they become an essential part of spatial policy and planning. 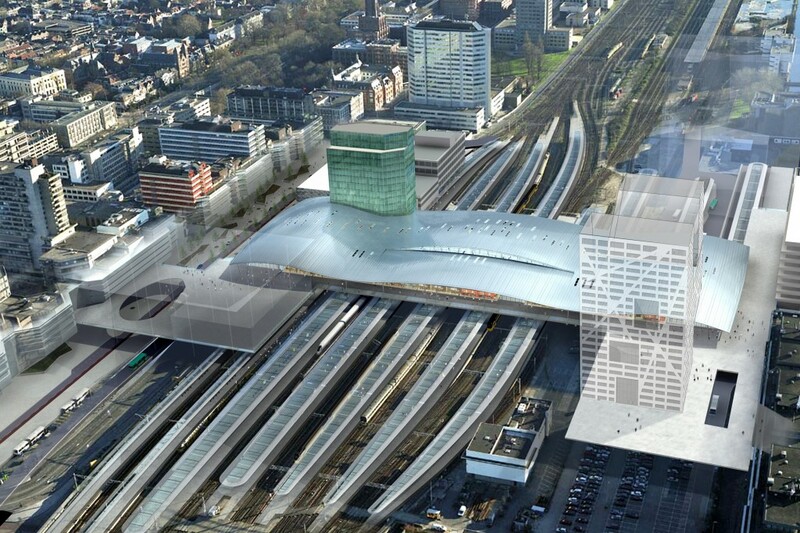 The Province of Utrecht and the larger cities in this region, in particular, are taking major steps in this area. 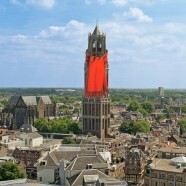 This article describes how the newly elected central government, the Province of Utrecht and the six larger towns in Utrecht are turning their climate and energy targets into spatial policy, strategy and physical planning. This stands in sharp contrast with the situation as reported in the ISOCARP Review 05 Low Carbons Cities, especially in the way the responsibilities between the state, provinces and municipalities are redefined and redivided. The Netherlands faces a major challenge: cutting government spending while at the same time strengthening the economy. The Administrative Agreement between the State, provinces, municipalities and regional water boards is supposed to help to create a government apparatus which is lean and efficient with a clear division of tasks between the four levels of administrative authority. The underlying principle of the Dutch Government apparatus of the last decade ‘decentralize whatever can be, centralize whatever has to be’ is put into practice. This means that, wherever possible, the implementation of tasks is devolved to the municipalities or provinces. Central government is responsible only for national concerns such as national defence and foreign policy, but is also involved, alongside other levels of administration, in the spatial economic structure, public health, flood defences, the nation’s unique landscape features and cultural heritage, plus the national and international transport networks. Central government set out this vision in the draft National Policy Strategy for Infrastructure and Spatial Planning. 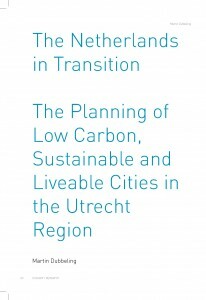 The article ‘The Netherlands in Transition – The Planning of Low Carbon, Sustainable and Liveable Cities in the Utrecht Region’ by Martin Dubbeling is published in the ISOCARP Review 07 Liveable Cities Urbanising World, Chris Gossop and Shi Nan (ed. ), Routledge, page 60-89.